For over 40 years Prof. Dr. Anton Jayasuriya of Sri Lanka treated more than 2 ½ million patients free of charge and trained more than 40,000 doctors in Complementary Medicines while publishing 99 books about Complementary Medicines, an inspiration to us all. For the past 2 decades, since 1987 Prof. Dr. Sir Ravi Ponniah and Prof. Dr. Dame Linda Lancaster supported Prof. Anton through volunteer/charity work and helping to organize World Congresses annually. 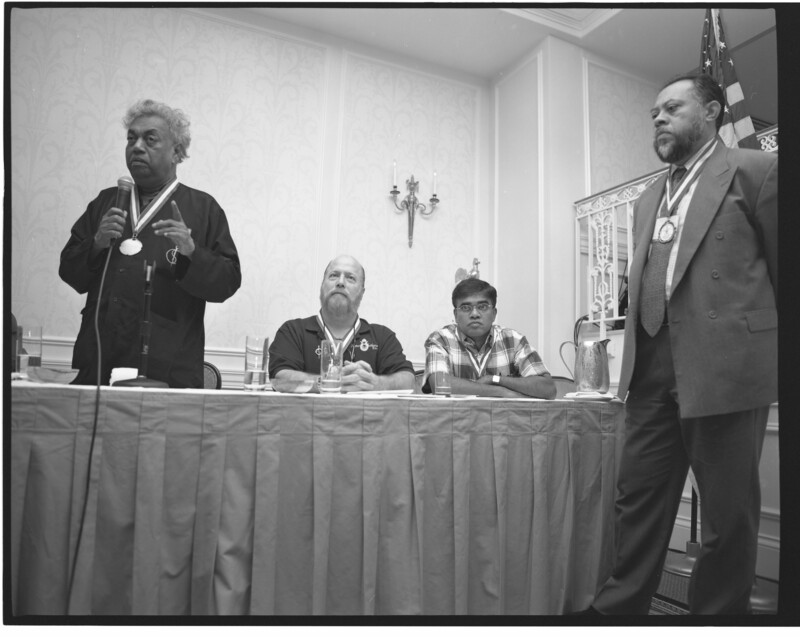 With the idea of integrating all medicines, in June 2004, Prof. Jayasuriya came to Washington DC to the 1st World Congress for Integrated Medicine held in the US, chaired by Dr. Lancaster and in honor of Professor Jayasuriya . Dr. Anton Jayasuriya at The World Congress for Integrated Medicines, Washington D.C. 2004. In November 2004, at the Third Millenium Congress of Integrated Medicines held in Sri Lanka, Prof Anton Jayasuriya, honored Prof. Ravi Ponniah as THE RECIPIENT OF THE FIRST NOBEL PRIZE FOR COMPLEMENTARY MEDICINE and was chosen to lead the movement Globally. It was also decided that Dr Linda Lancaster would become Chairman of the World Council of Medicines. After the sudden passing of Prof Anton in April 2005, it was decided to register The University in the USA as an independent Post-Graduate University. ” It is through healing we unite in peace “. The trustees decided to launch a Global Movement to Integrate All Medicines and change the direction from a University to a Foundation and broaden the vision and fulfill the wishes of Prof. Anton Jayasuriya. At the May 2007, World Congress of Integrated Medicines held in Santa Fe, New Mexico the Global Foundation for Integrated Medicines (GFIM) was launched in a spectacular Opening Ceremony. More than 400 delegates and Leaders of Integrated Medicines were witness to this most prestigious event giving full support to GFIM.